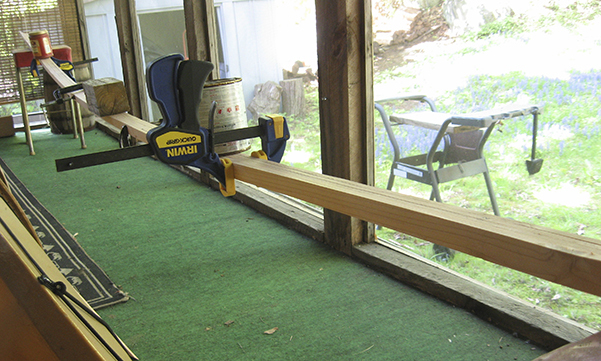 A friend's table saw and good-sized workshop made "easy" work of ripping the stringers and ribs. 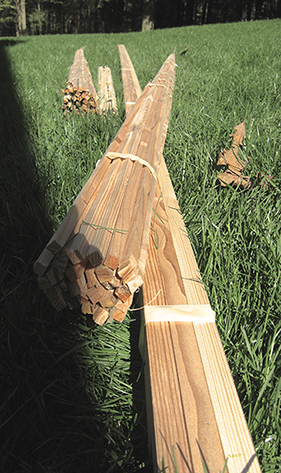 I was lucky to find some air-dried ash for the ribs at a local one-man milling operation. He located it in a pile of old weathered boards - asked me if I was building a boat. He said boatbuilders were the only folks asking for ash. I left the shop with these bundles. 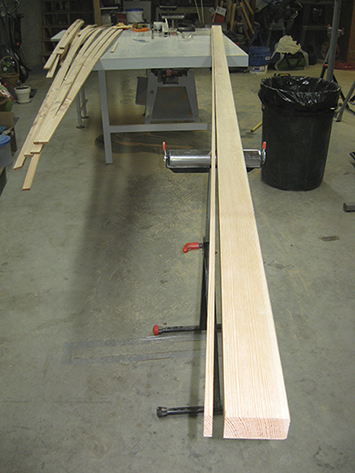 The gunwale and inwale stock clamped, wetted and weighted to prebend it vertically. 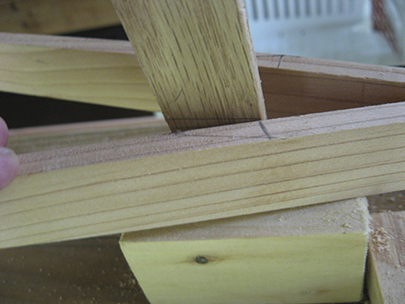 From the bundles of strips I pulled this straight, knotless piece for the keel. 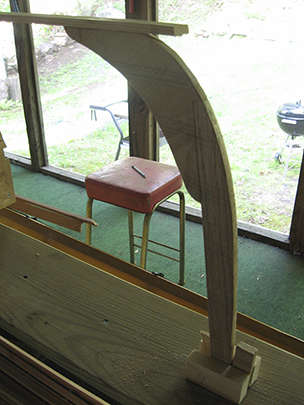 Next, the keel was attached to both stems. 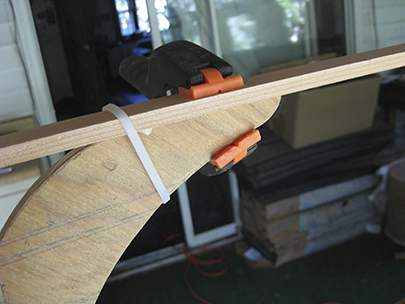 Each stem was seated in a guide to hold it in place and position it accurately. 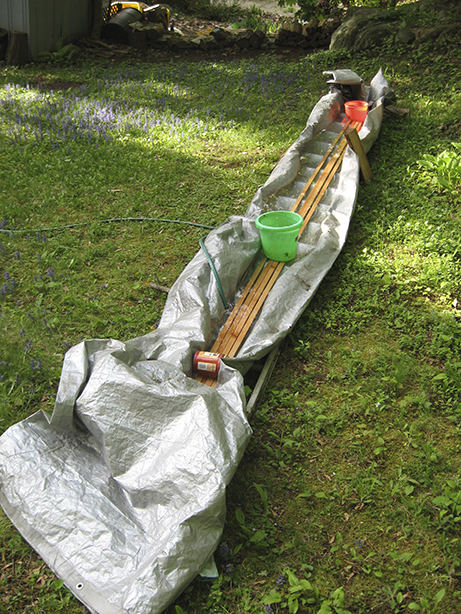 This makeshift soaker was comprised of an aluminum ladder covered with a tarp and filled with water from a hose. The gunwales and inwales soaked for about two days, weighted down with sand-filled buckets to keep them submerged. 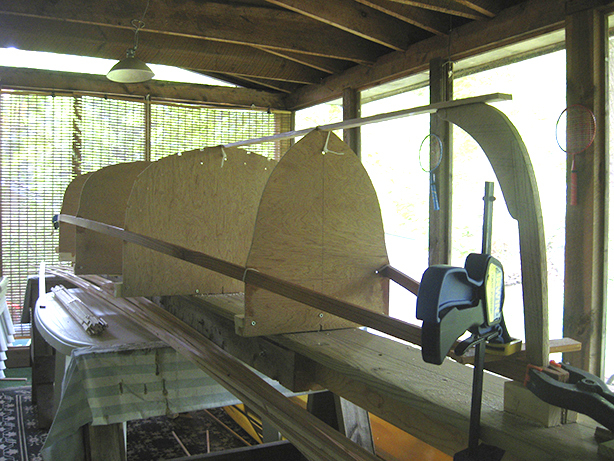 After prebending and soaking, the gunwales easily fell into position. 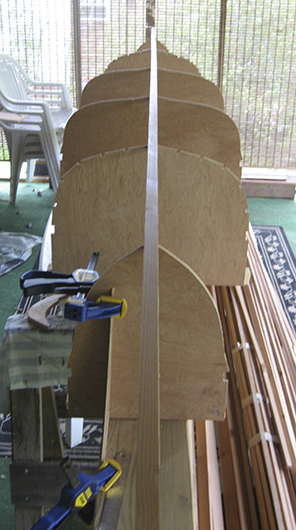 The gunwales need to fit in flush against the stems - some accurate measuring and cutting is involved here.